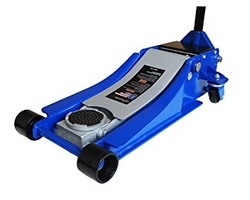 Stronghold Engine Crane jack, Trolley jack and Hydraulic jacks guarantees exceptional performance and durability. The brand symbolizes quality as all leading companies in the automotive industry opt for Stronghold Engine crane jack and lifting equipment. Adex International is the authorized supplier of Hydraulic Jacks and Engine crane jack in the UAE with operations in Dubai, Ajman, Sharjah, Abu Dhabi, Ras Al khaimah, Fujairah, Umm Al Quwain. ADEX INTERNATIONAL LLC primarily focus on export of Trolley jacks and Engine crane jack to GCC countries like Saudi Arabia, Oman, Kuwait, Bahrain, Qatar and also African countries like Egypt, Lebanon, Sudan and Russian countries like Azerbaijan, Uzbekistan etc.